Have a little fun with your food with this bright artwork by Jodi Kostelnik. 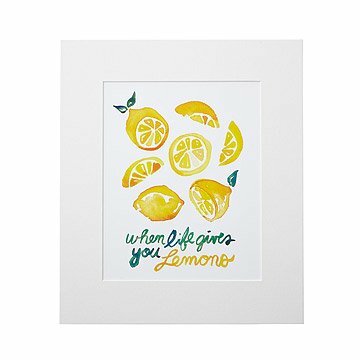 Enjoy a little positivity in your day with this bright artwork. Using layers of watercolor and an accompanying adage, artist Jodi Kostelnik creates a playful print that celebrates the natural beauty of the food we eat--all while sending a sweet sentiment. Designed in Brooklyn, New York. Printed and framed in Portland, Oregon.